The question is Why did Jesus have to go through these?…Why did Jesus come to die? When Adam sinned, the whole world sinned. Sin created a gap between God and mankind. So Satan ceased that opportunity to bring pains and suffering upon mankind. Something needed to be done to bring mankind back to God. The Good news was Gabriel appeared to Joseph in a dream and told him Mary will have a son, and you are to name him Jesus, for he will save his people from their sins.” (Matthew 1:21 NLT). Hallelujah! Listen! The Lord ’s arm is not too weak to save you, nor is his ear too deaf to hear you call. It’s your sins that have cut you off from God. Because of your sins, he has turned away and will not listen anymore. (Isaiah 59:1, 2 NLT). 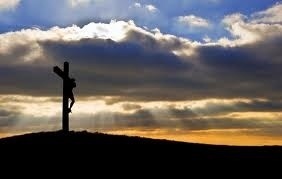 Jesus made this possible by dying on the Cross for you and I. We have been made right with God thus we can come boldly to His throne. Let us therefore say no to sin and live lives that please the Father. We have a new nature now as God, through His Spirit, is living in us. What sin, behaviour, action, attitude, fellowship, relationship, etc is keeping you distant from God? Next DAY 2 – WHY DID JESUS COME TO DIE?